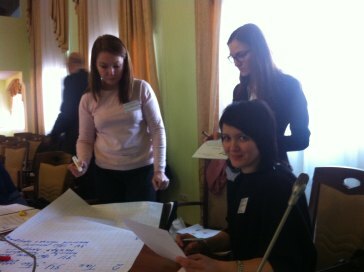 The second workshop of a comprehensive training on “Quality Infrastructure” was implemented in Kyiv by Anne Bercio, Project Leader at IEP, from 25-26 February. The training is targeted to foster institutional capacities of MEDT and all linked institutions dealing with technical regulations. Core topics of the workshop were legal harmonisation with EU horizontal legislation on Accreditation and Market Surveillance. The overall objective of the project is to strengthen MEDT‘s capacities for implementing the EU-Ukraine Deep and Comprehensive Free Trade Area/ Association Agreement. The next workshop of this series will took place in March 2016 in Kyiv. The trainings are implemented for Deutsche Gesellschaft für Internationale Zusammenarbeit (GIZ).